2 bedrooms, with air conditioning , 1 and 1/2 bath, Living room, Kitchen with Refrigerator /freezer. washing machine and outside is a covered terrace. 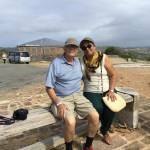 We are Terry and Lidia, retired US citizens, living in the Dominican Republic on the Samana Peninsula. Lidia is active in the community getting local children sponsors to pay for education in one of the local Christian schools. (She is managing approximately 145 school children now). She works with Samana Smiles foundation to assist some of the children needing medical treatment. She started a Mothers club to try to improve the lifestyle in a poor local neighborhood. She also works with a missionary group from New York coordinating their work with local churches and clinics. A beautiful Victorian-style townhouse within a gated community surrounded by a lush vegetation in a very quiet and private environment with a common swimming pool. This urbanization has surveillance cameras and night-hour security guards only at about five minutes from the center of Las Terrenas. 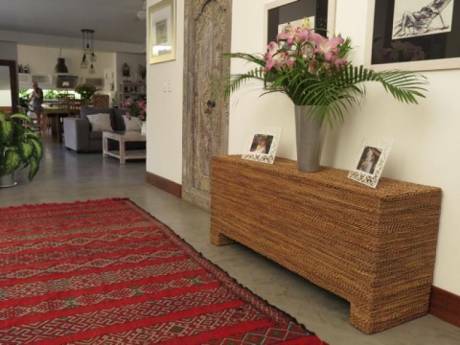 It has two levels, on the first level you will find the terrace surrounded with a nice garden with tropical flowers. Downstairs there is a well/equipped kitchen, living and dinning room with one and a half bathrooms. On the second level, there are two bedrooms and a nice bathroom in the middle. I comes with an individual garage with automatic door. Great price for a very nice house! This urbanization has surveillance cameras and 24-hour security only at about five from the Las Terrenas. The house it is fully furnished and equipped. 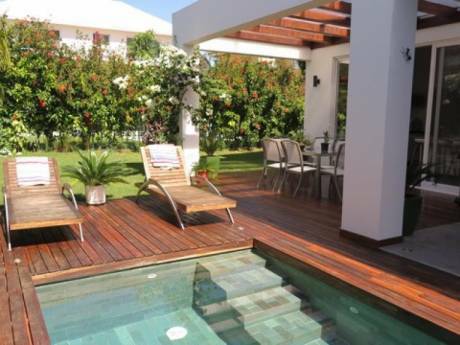 It has two levels, on the first level you will find the terrace surrounded with y a nice garden with tropical flowers. Inside there is a well/equipped kitchen, living and dinning room with a half bathroom. 10 minute walk to beach, to center of town and fisherman's landing area if you like to cook your own seafood. Several restaurants and small grocery stores just before beach. 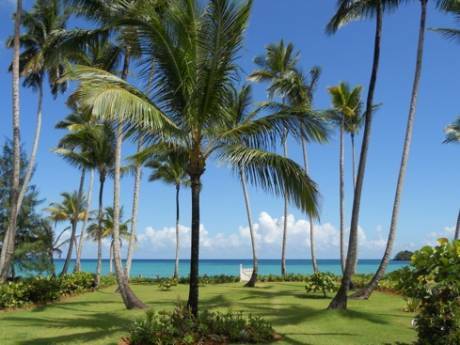 Las Terrenas is a multinational flavored town. Santo Domingo (SDQ) Airport is 2 1/2 hours away on toll road.